Sharing 5 Spring Interior Design Tips this time of year is one of my favorite things to do. The weather is still chilly here in Boston, though that doesn’t mean we can’t dream about brighter days and the season of Spring that lies ahead. This is one the best times of the year (aside the Fall, when I can bring out my beautiful trench coats once again, of course). It is in the Spring when we can organize our homes, decorate for the months that are upon us, and explore new trends for 2018 – and believe me, there are plenty! 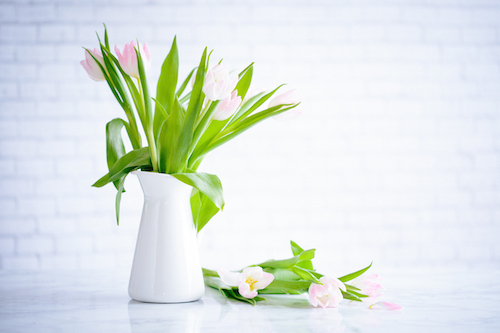 Interior Design in the Spring is upon us and there is no better time to share 5 Spring Interior Design Tips to get your home ready for the new season. To get yourself prepared for this season, here are 5 Spring Interior Design Tips you need to know. We’ve talked about it in our resolutions, though it’s worth another mention; Spring is all about organization and decluttering. From your master bedroom closets to your kitchen cabinets, look for anything that you have worn, used or even touched for 12 months. Is that down Winter jacket really doing service to your closet when you haven’t worn it since 2015? What about the side table that you’ve been dreaming of donating, but haven’t had a moment to remove from your living room? Organize, declutter and free your home of wasteful pieces. It an essential step to take if you want a fresh Spring feeling. Yes! Gelato – think pinks, blues and yellows! These colors are expected to be a huge trend for interior design in the Spring. You can even mix and match these colors in a room, such as your daughter’s bedroom or a playful entrance hallway that you consider to be your “Van Gogh” wall to play with each and every season. Be sure to have fun with this trend – integrate your favorite colors of gelato within your home through single walls, one (or two) dining chairs, accessories and more. A simple houseplant no more! Foliage inside the home is increasingly becoming a must-have for our homes. Hanging plants compliment lush pieces, such as a beautiful green armchair or a unique rug. 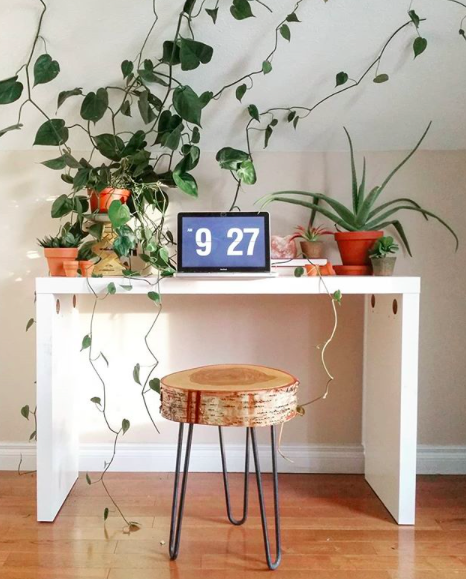 One of my favorite inspirations for lush, green foliage in the home is Kimberly Wynn, who I found on Instagram. She loves to incorporate green in her home! Although I love taking chances, especially with trends like gelato colors and green foliage, I do love when I can create a room that stands the test of time. The combination of navy and grey is a trend I’m very excited about in 2018. Picture grey walls that make navy accessories or furniture simply pop. Glittery gold metallics that ooze decadence over a navy or grey area rug. Picture frames, mirrors and sideboards that can remain in your home for years to come. As much as I love including trend-worthy pieces throughout my work as the Spring draws near, I do love timeless pieces, too. We started with organization and we’re ending with organization because I’m so passionate about keeping a home ready for the season ahead. There is truly nothing worse than a mishap of trends colliding in once space. Starting with your living room, let’s say, take a moment now to look around and identify what screams “pre-2017”. Is it the metallics that are alongside the pastels? Or the unique vase that hasn’t been moved (or dusted) in six months? Or perhaps your side table is bursting with old Holiday cards, burned candles or coasters that have been sitting inside for quite some time. Whatever the case might be, it is important to organize before a season approaches, as one draws to a close. Thinking ahead and staying ready for the change of weather and trends will make your home truly sing with joy. We are so excited for interior design in the Spring here at MDK Designs and we can’t wait to share our vision with you. 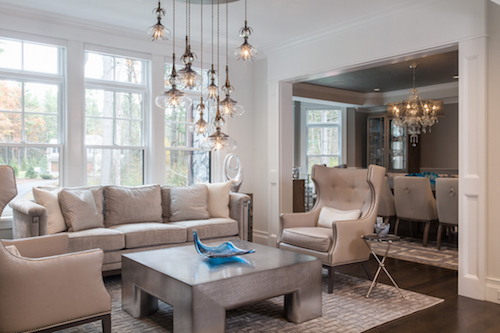 We hope you take some time to tackle at least a few of these 5 Spring Interior Design tips. For great design ideas, check out our portfolio here.